Awesome to see these games running on an AMIGA-500! Very nice work, is it real to expect the port to emulate sound too at full speed ? Anyway its a very good begin. loading time is very slow at the moment it seems. roughly it's around 20secs to start a game. 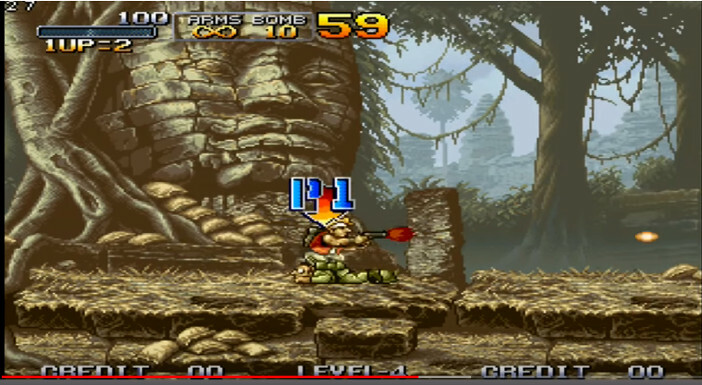 compressed metal slug rom is 17mb zip. so that means load speed from zip is less than 1mb per sec. or, load speed from unzipped rom: 2mb per sec. i was just curious about the slow loading time ? is this running on VA600? that would explain a bit. Wow very cool. Nice work Artur! I love Neo Geo games, playing them often on my X5000 with FBA. Have a lot of Roms installed. I think, it could be a killer app for Vampire Amigas. Playing this games on my Amiga600 is a dream. I know it is WIP and need some optimization. I am sure that the Apollo Team will solve it. Cool! NeoGeo on Vampire will be awesome!! The emulator is very good and runs the games perfectly as on the original. But the emulator is very costly and does the full system emulation. and even also the 68000 CPU. Originally the NEO GEO emulator ran our testgames at 5-6 FPS. After rewriting the render code with 68K / AMMX ASM the games run now at 25-30 FPS. Next bottleneck to fix will be the Audio emulation. Right now its pretty costly as its type converting several times from Neo-Geo format to PC format to AHI to AMIGA format. If we change this concept then the SND-FX should play with no slowdown. Really looking forward playing this on my future V4..
Just wondering: is there a way to not emulate 68K and just use the native CPU of the Vampire? Last Blade "This video has been removed by the user"
New videos are coming soon. FPS is very good now. Ok, I'll ask the elephant in room question. What's the release date for Gold 2.7? This is not an elephant since so many people have asked that same question already, and the answer is pretty clear; it will be released when they think it is ready. Could be next week or in 6 months. For now, just have fun with Gold 2.5 - there's lots of stuff you can use it with. Looks very good and fast!! !